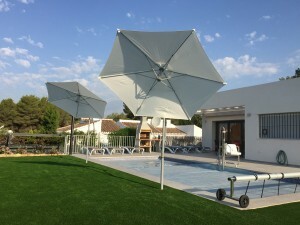 Enjoy family holidays in Spain at Villa Olivo (Villa Olive Tree) with full wheelchair access. This exquisite, minimalist style detached villa in the area of Pinomar, is located just 3kms (1.86miles) from the Arenal beach in Javea. 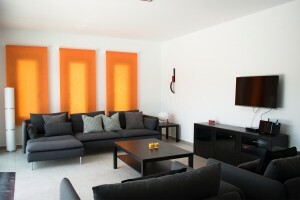 The villa has a constructed area of approximately 150m2 and is built on a plot of approximately 750m2. 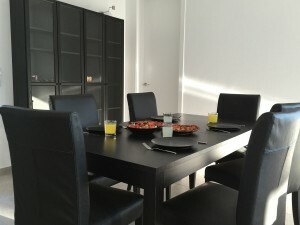 The living area is all on one level and consists of three bedrooms, two bathrooms (one en-suite with shower room) an open plan fitted kitchen giving out to a spacious sitting/dining room with fireplace. The living area features direct access to a terrace where there is an 9m x 4m swimming pool featuring a hydraulic pool hoist and fantastic landscaped garden areas. 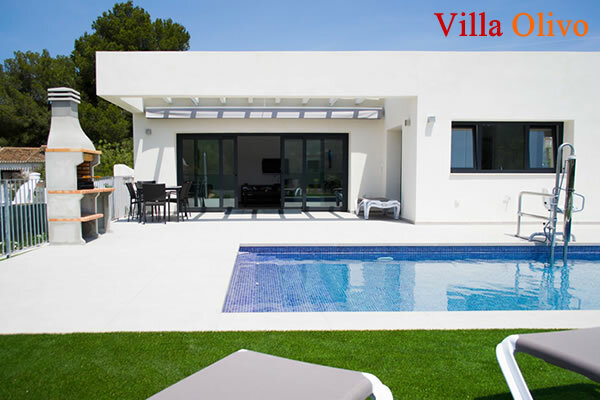 Enjoy a peaceful and relaxing holiday in tranquility of Villa Olivo, Javea. With almost guaranteed weather from May to September, an average of 300 days sunshine a year and mild winters, Javea is a perfect escape all year round. For wheelchair users there is nothing more frustrating than booking a holiday and not having the correct facilities in place. I am pretty sure at one time or another a booking made in good faith has not turned out as expected. When visiting Villa Olivo, you can be rest assured you will not have those problems. 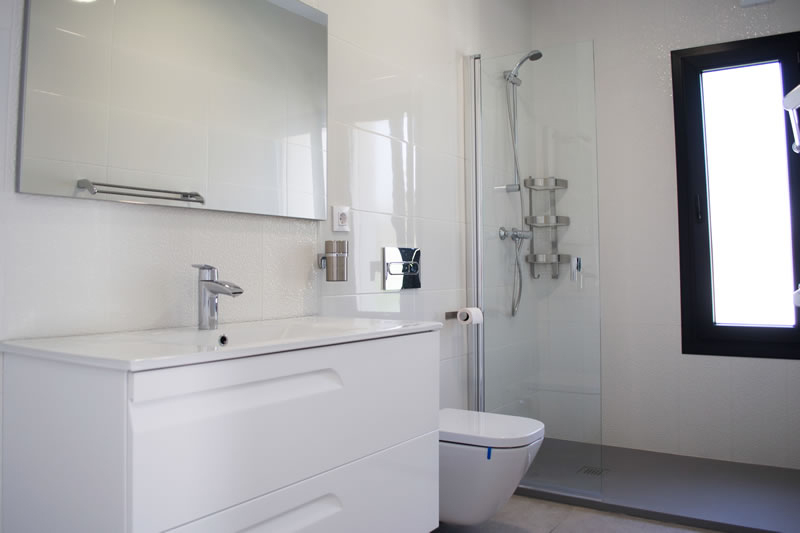 From the 80cm internal doorways (compliant to DDA regulations) to the wet room shower, climate control and specialist hoist for safe swimming pool access, the villa offers modern accommodation for families looking to accommodate loved ones or friends with impaired mobility. 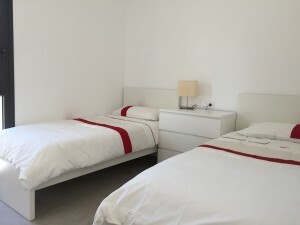 The villa is ideal for family holidays with older family members as well. 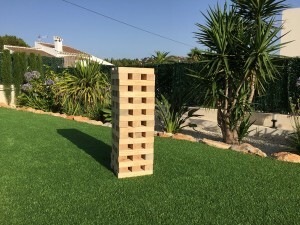 Javea is delightful and for families its a great place to visit and in easy reach of the busier areas (and more commercial areas) such as Benidorm, but still an amazing buzz in the high season. The Javea area has some great scenery and a huge selection of excellent restaurants.>> Learn more about Javea. The owner of the Villa is a C6/C7/T1 quadriplegic. Having been coming to Javea for 30 years it was always my ambition to buy a property. 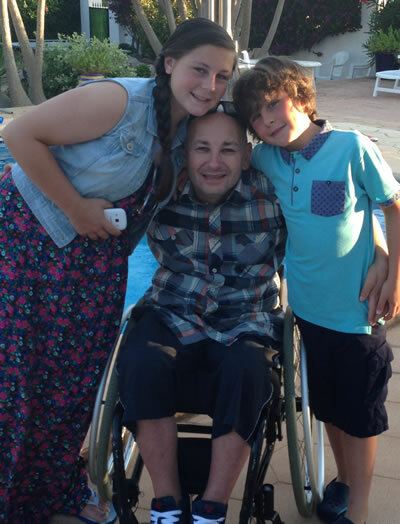 Having become paralysed in 1991, finding accessible holiday facilities that are accessible not just for a wheelchair user but on price is exceedingly important. This brand new luxury villa, designed and built with the comfort and needs of wheelchair users and people with mobility issues in mind. 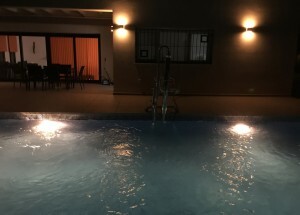 The villa features 80cm doorways, a roll-in shower and a hoist that allows people with disabilities to enter the swimming pool in a safe and dignified way. Who is the villa suitable for? As a full-time wheelchair user, I am confident the villa is suitable for most types of disability. 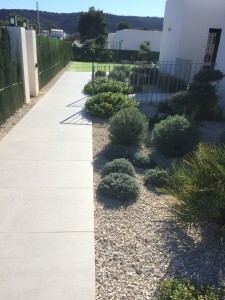 The villa is absolutely perfect for anyone with general mobility issues, especially folk who find steps troublesome or may use a walker to aid them. You can book a holiday at the villa knowing the immediate surroundings will allow them to enjoy a worry-free time. I hope you’ll find Villa Olivo to your liking and enjoy it as much as I, and my family enjoy it. When is the best time to visit Villa Olivo? The climate in Javea has been rated as one of the healthiest in the world. While not tropical in the winter months, the weather and climate is far better than what we are used too in the UK. On average, Javea has 300 days of sunshine a year. Read through the following to gain an idea of what to expect at different times of the year. You’ll still need a cardigan or a jumper in the evening. The days can be very pleasant and don’t be surprised to see temperatures hit 15-20 degrees. The other great thing about this time of year in Javea it is not as dark in the evenings as you get the extra hour of daytime. If you are looking for a very relaxed place to come to for a winter break in January or February, Javea might just be for you. A great time of the year to get out and explore Javea and the wider Costa Blanca. 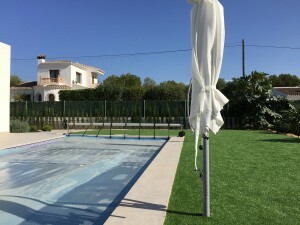 With temperatures between 15 and 23 degrees you’ll be able to enjoy the lovely warmth of the Costa Blanca sun while sitting by the beach or by the pool. With the solar pool heating kicking back-in, you’ll be able to enjoy the swimming pool at this time of year as well. A great (and my favourite) time of year to visit. With the temperature moving around the mid-twenties you can enjoy all that Javea has to offer day and night. With the temperatures not quite a peak it is still a great time to get out and about exploring the Javea area. You’ll also be able to enjoy simply relaxing in the fantastic spring sunshine. Prime holiday time and prime weather time! The summer sun in Javea is nothing short of fantastic. Spain at this time of year epitomises all you want in a summer day. Long hot days and equally warm evenings. With the temperature hitting as high as 35 degrees, you’ll have a simply brilliant time enjoying Javea and the surrounding area at this most vibrant time of the year. 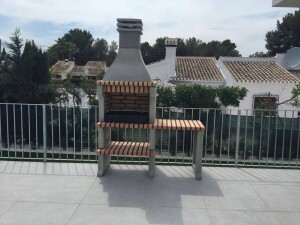 The two hottest months of the year may have passed, but Javea still has much to offer. September is still an amazing month for beautiful weather. With people flocking to enjoy the end of the summer there is a still a great vibe in Javea as well as great weather. A fantastic time of the year to come as the school holidays have concluded and there is less hustle and bustle. Equally appealing is October. As the heat reduces to a very pleasant temperature you can relax in one of the many bars and restaurants with a coffee and simply enjoy life. Read 10 reasons to visit Javea in September. Surprisingly still a very nice time of the year to visit. You’ll arrive at Alicante airport a world away from the dark, colder days of the UK. 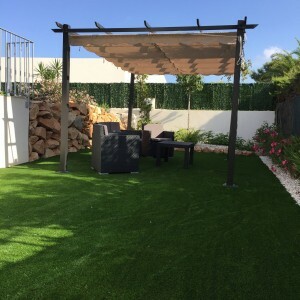 Amazingly mild still, come out to Javea and simply unwind, relax and chill. Do things in your own time but without the hustle and bustle of life back home. Spend Christmas time at the villa and experience the festive season in the Mediterranean. Recent temperatures have been warmer than the recorded average. 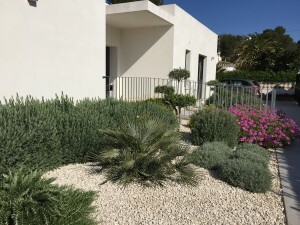 In November 2015 the temperature in Javea was 22 degrees. December 2015 has seen average temperatures of 18 degrees. 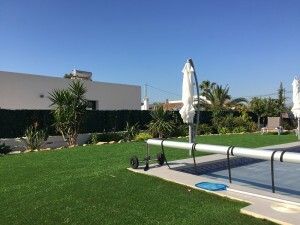 See full details of weather in Javea.